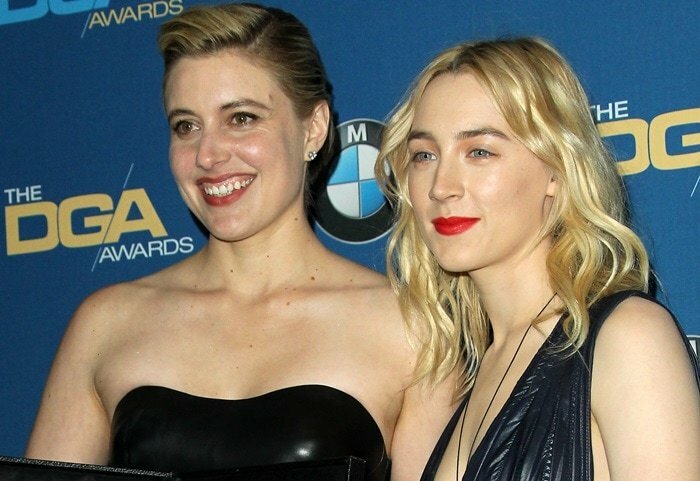 Saoirse Ronan showed off Christian Louboutin’s ‘Galeria’ ornament sandals ($845 at Saks Fifth Avenue) on stage with ‘Lady Bird’ director Greta Gerwig during the 2018 Directors Guild of America Awards at the Beverly Hilton Hotel in Beverly Hills, California. Three months later, Taraji P. Henson wore the same embellished heels to the 2018 Fox Upfronts at Central Park’s Wollman Rink in New York City. Who do you think looked best in them? 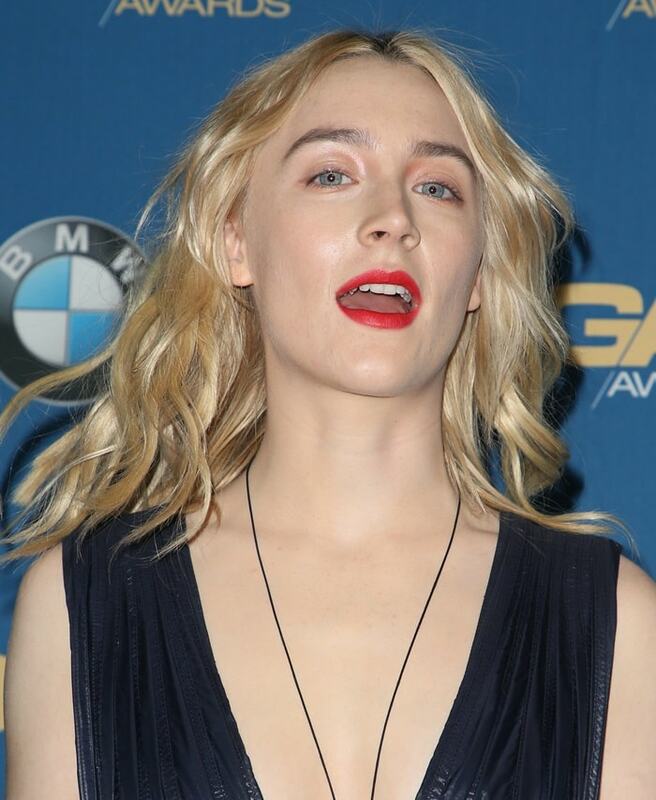 The 23-year-old Oscar-nominated actress went pretty in a metallic blue full-skirted Calvin Klein Collection Spring 2018 dress as she honored the director for Outstanding Directorial Achievement in a Feature Film for ‘Lady Bird’. She styled her retro-inspired dress with a Nikos Koulis lariat necklace and Christian Louboutin‘s ‘Galeria’ sandals. Greta looked lovely in a minimalist gown from the Alexander Wang Resort 2018 collection. The Emmy-nominated actress, who earlier in the day announced that she is engaged to NFL player Kelvin Hayden, looked lovely in a feather-printed Altuzarra Fall 2018 dress featuring a collared neckline and wrap front bodice ($1,795 at Moda Operandi). This new sandal silhouette is inspired by the luxurious drape of a pearl necklace. Featuring a graduated silver bead embellishment, this 100mm, overlapping strap detail sandal in black leather is a Spring/Summer style gem. These peep-toe heels are crafted of black smooth leather and ivory and grey snakeskin. Styled with a leg-lengthening stiletto heel, they showcase fixed overlapping straps embellished with graduated silvertone dome studs. Arcs of burnished dome studs bring shimmer and dimension to the curvy contours of a day-to-evening sandal.